The 2018-19 Federal Budget continues the Australian Government’s focus on border control at the expense of those seeking protection, with the only significant new measure affecting refugees being another $62 million for Operation Sovereign Borders. “At a time of urgent need for refugees here and overseas, this Budget does nothing to address their needs and keeps spending instead on punishing them for needing our protection,” Refugee Council of Australia CEO Paul Power said. While the Government is likely to spend more than $1.5 billion this year on offshore processing, double what it had forecast last year, it also managed to spend $50 million less this year on financial support for people seeking asylum than forecast last year. Next year, it will drop again to $123 million. This significant drop is likely to reflect recent and upcoming changes to the Status Resolution Support Services scheme, with thousands of people seeking asylum likely to lose the lifesaving supports they need in the next few months while they wait years for the government to make decisions on their claims. The Budget offers little new for refugees. In a small but welcome move, newly arrived refugees will get more time to focus on settling in Australia and learning English before they start needing to find employment through Jobactive. Most will not be required to engage with Jobactive services until six months after arrival, with those with good English language skills being able to access job search support earlier than this. This responds to some of the concerns RCOA raised in a recent report on Jobactive with Fairfield Multicultural Interagency. The Department of Home Affairs has made some interesting changes to its performance targets. These include a new performance target to ensure that people detained because they do not have a valid visa are released from detention or have their status resolved within 90 days, and for all decisions to detain to be reviewed internally within 48 hours. This still falls far short of ensuring all decisions to detain are independently reviewed and that detention be a last resort for the shortest time possible, but is a small step in the right direction. The Department is now also referring to the planned intake under the Humanitarian Program this year as a “ceiling’, and has removed reference to any numerical targets in the following year. 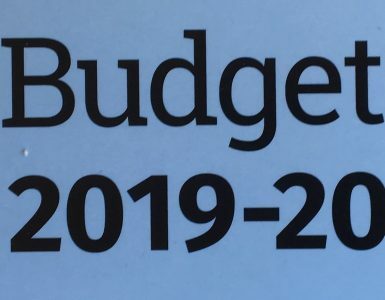 “Once again, at a time of urgent international need and at a time when the Government can afford to do more both at home and overseas, this is a disappointing Budget for people who need our protection,” Mr Power said.